The Rebecca Foundation has agreed with Licang District Experimental School in Qingdao, China, to have an exchange programme between Ghanaian and Chinese school kids starting in 2018. 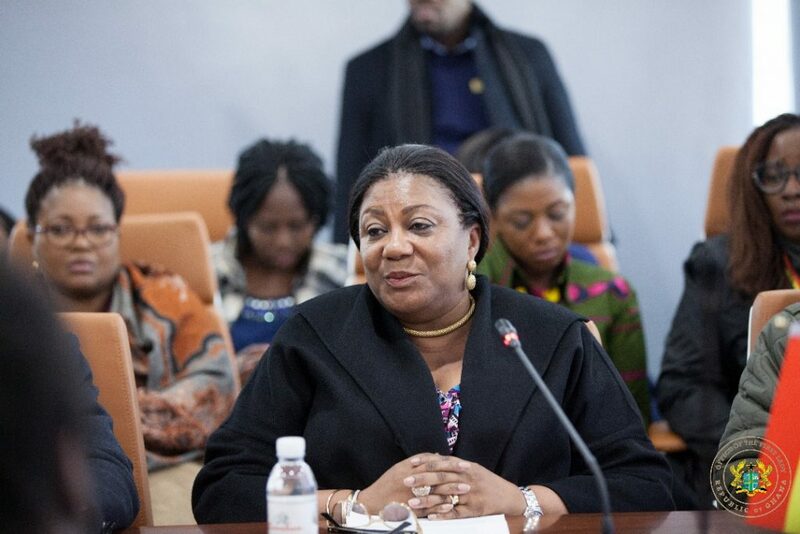 The programme, which seeks to deepen cultural, academic and sports ties between pupils of the two countries, will see 10 pupils from the school visiting Ghana, whiles 10 pupils from Ghana also visit China every year. Under the programme, the children are expected to gain a lot especially in the area of sports, as the pupils from China will be trained in Ghana’s favorite sporting disciplines especially soccer, whilst Ghanaian pupils visiting China will also be taught various sports including table tennis. 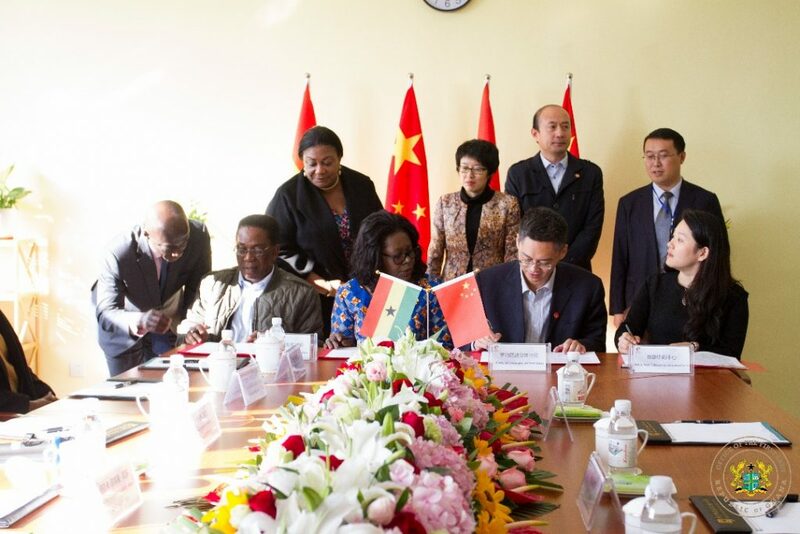 The agreement for the programme was signed on behalf of the Rebecca Foundation by Ms. Shirley Laryea, from the Office of the First Lad,y whilst Wang Xiaoguang, Director General, Education and Sports Bureau of the Licang District signed for the school. 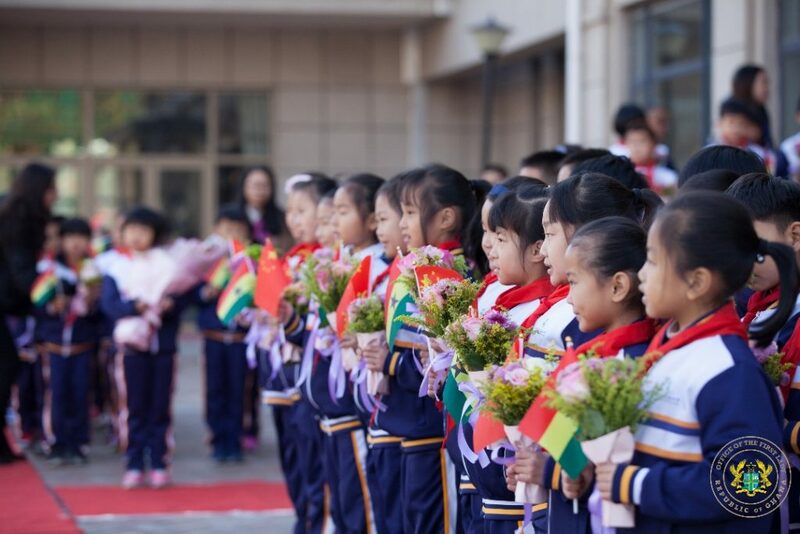 Later, the First Lady met with members of the Ghanaian community in Qingdao area, where she encouraged them to contribute their knowledge, skills and resources to the development of Ghana, and assured them that President Akufo-Addo and his team is working hard to steer the country towards sustainable development and prosperity.